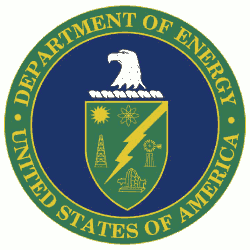 ﻿ Did you Know - US Department of Energy outlook was wrong? The US Department of Energy (DOE) "Annual Energy Outlook, 2007" was for crude oil prices to be around $57 per barrel and as you know we closed 2007 at over $95, so needless to say, the DOE was way off the mark on that one. Being unable to predict oil prices is disappointing, to say the least, when you have 16,000 federal employes to do just that and are funded with $23.4 billion of your taxpayer money . Oil-Price.net on the other side has given correct predictions time and time again. We are an independent source of intelligence, do not receive federal funding and provide this free service thanks to support from readers like you.